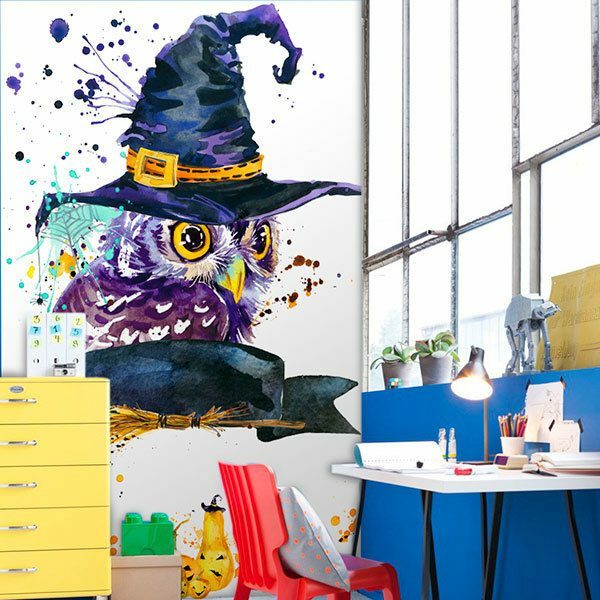 Wall mural The Magic Owl. 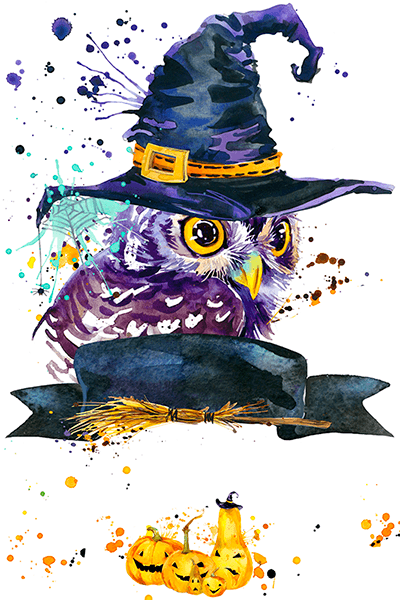 Funny illustration of an owl with a witch hat, it is on a black parchment and a broom. 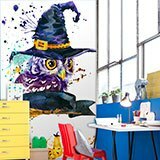 In the lower part there are small pumpkins and drops sprinkled by the drawing. 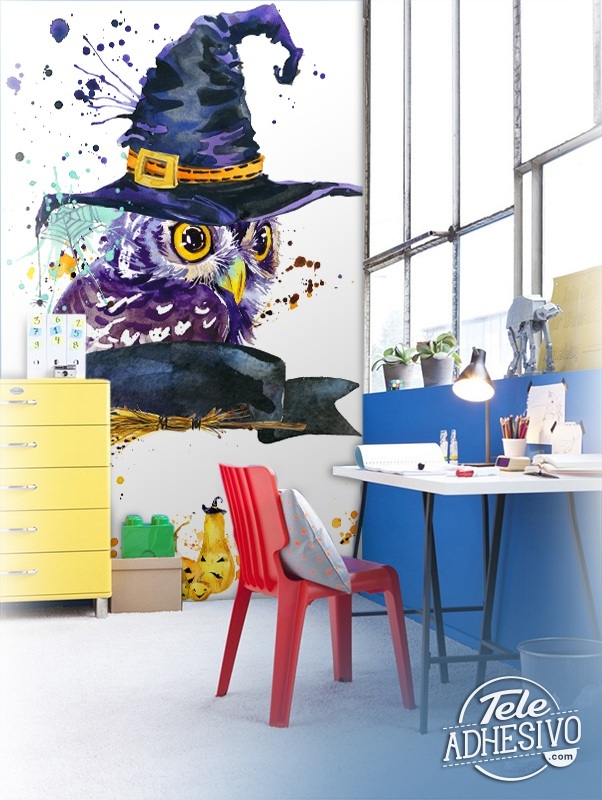 Fantastic for halloween or decorating the children's room with this mystical animal.